DAY 40 of SP… The day of the Blizzard of 2013.. High tide, astronomical high, nor’easter.. Not the best of exposures, with contrast being off, however, it tells the story of snow and ocean.. 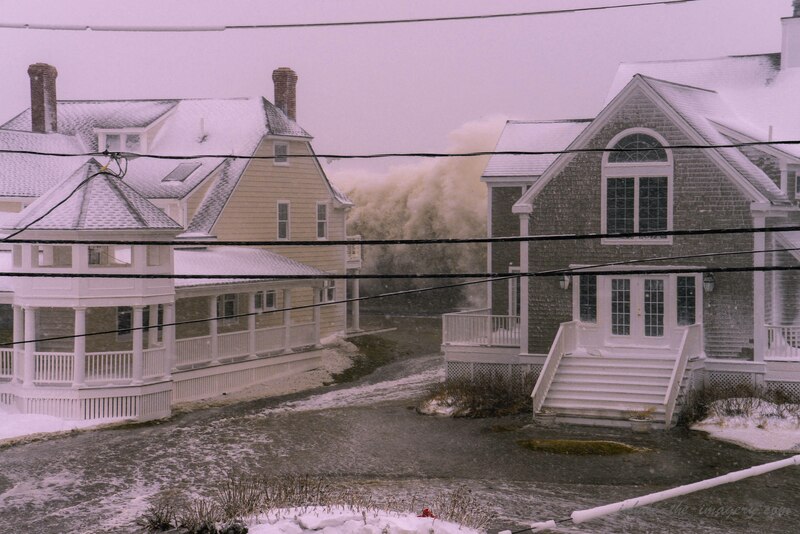 The wave hits the seawall with amazing force sending it over to heights of 2+ stories. As it crashes down it surges up just below the window of the home. The houses are designed, and owners prepare, to take these type of conditions….. and as with everything…within set tolerances. Sun is rising to the left…but we cannot see it in blizzard conditions.